The Nautilus is, perhaps, the most famous submarine of the world, even it is a fictional one. Featured in 1870 in Jules Verne’s novel “Twenty Thousand Leagues Under the Sea”, the Nautilus fascinated since then millions of people. Verne himself featured it again in a sequel called “The Mysterious Island” in 1874. A number of movies and writers referred or featured it after that, including the famous Walt Disney’s movie with the same title of the book and the comic book, The League of Extraordinary Gentlemen, by Alan Moore, which eventually became a movie too. 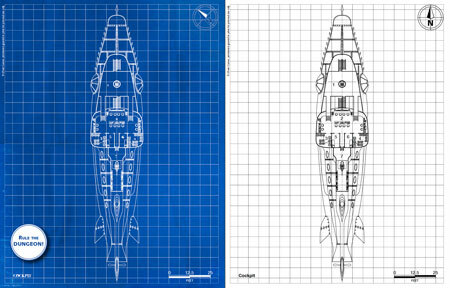 This Blueprint is our take on the Nautilus. It differs very much from the Verne’s description; it is smaller, more modern and armed. Its shape is not cigar-like but it was freely inspired by an actual nautilus. 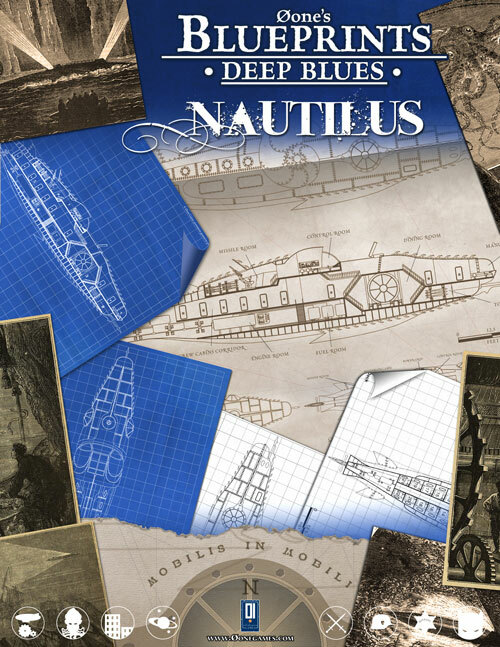 Suitable for Victorian, steampunk or modern games or whenever you need a fantasy submarine. The featured poster map included in this product comes as a 25,5 x 22 inches sheet and fractioned in six 8,5 x 11 inches sheets, allowing you to print it on a conventional printer or take the file to a print server to output a gorgeous nautilus poster map. This title was added to our catalog on February 11, 2013.